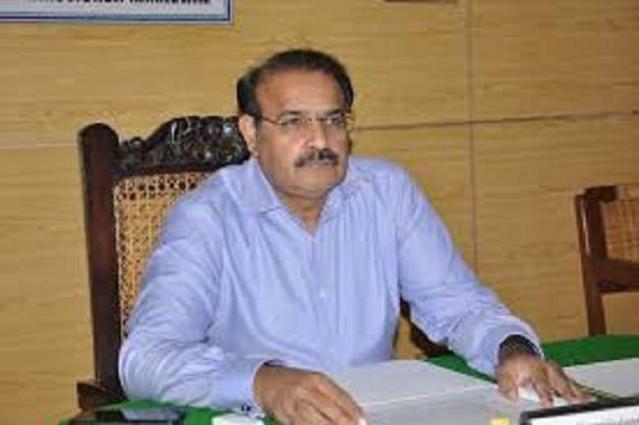 KHANEWAL, (UrduPoint / Pakistan Point News - 16th Apr, 2019 ) :Deputy Commissioner Ashfaq Ahmad Chaudhry Tuesday paid visit to different parts of the district to witness the damages caused by a hailstorm and heavy rain, and directed the officials concerned to prepare an assessment report. A hailstorm heavy rains uprooted trees, damaged billboards, electric poles, roofs and walls of many houses and left four dead and over a dozen injured on Monday night. The DC also visited different hospitals to inquire about the health of those injured in the hailstorm. He asked all four assistant commissioners to prepare damage assessment reports and submit those to him without any delay. He asked Mepco officials to immediately restore power supply to DHQ hospital and all other facilities and areas where electricity supply system was affected due to hailstorm. The DC was informed that power supply had been restored in most parts of the affected areas and efforts were afoot to restore supply in remaining areas. He also ordered Baldia officials to drain out rainwater from all areas affected by hailstorm and rains.